Last.fm, the music streaming service that uses social tagging to find custom-tailored tunes, will be requiring that users of the iOS/Android/etc. apps pay $3/month for a premium subscription. I have found it convenient to listen to Last.fm on my iPod on more than one occasion, so this is a little disappointing. Microsoft says that they plan to subsidize Last.fm for Windows Phone 7 and Xbox so their users will not have to pay the subscription. This change will go into effect on February 15. Are you a musician looking for a way to sell your work online? Bandcamp is a new and appealing solution. They provide a website where people can stream your albums’ tracks, and then buy them for the price you set. Bandcamp takes an uncompressed upload of the music and transcodes it into MP3, AAC, FLAC, Ogg Vorbis, ALC and numerous other formats, giving buyers a choice in their download. At the present, you get 100% of the money from each sale. Bandcamp may take a small percentage in the future, though. You can either set your own prices, or let your fans name their own price in the style of Radiohead and 2D Boy. I stumbled across the site a few weeks ago and thought it might be worth sharing. Their FAQ looks promising. Apple recently acquired Lala, an interesting music service that promotes the idea of streaming music. Lala lets you sample music from their catalog, and then offers the choice to download songs for $0.79 apiece or purchase the right to stream it as much as you want for ten cents. They also let you upload your music library to their servers, so your entire music library is available for you to stream online at any time. What’s Apple going to do with their acquisition? It doesn’t take a rocket surgeon to guess that. Imagine iTunes, but with the features of Lala built in. 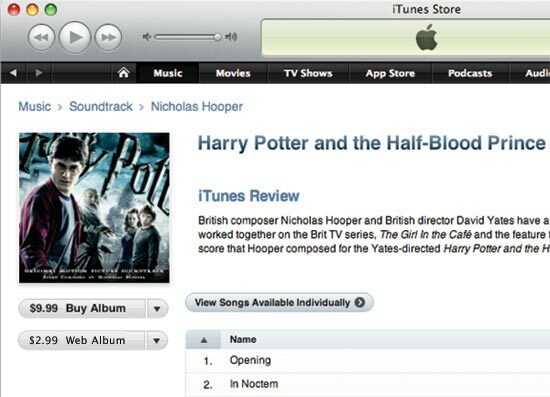 Another idea is that we might be seeing a browser-based version of iTunes in the future, as part of the “merge Lala into iTunes” idea. This would make is possible to listen to, and purchase, music on a computer where you can’t install iTunes. Apple isn’t the type of company to split themselves over more than one brand, and I can’t see them shutting down Lala, so it just seems inevitable that the two services will eventually be consolidated. 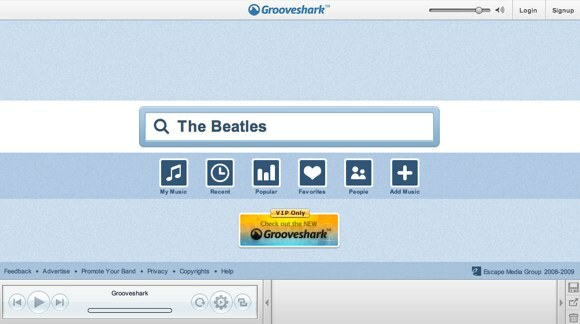 Grooveshark not only has a cool design, but is an interesting service as well. It lets you search for music and play it, streaming through the Flash player. Artists can submit their music directly to Grooveshark, giving them a promotional platform, as well as monetary compensation. Last.fm is a great way to discover new music based on what you already like. It has some nice features, like the ability to monitor your iPod listening habits, that give it enough data to supply recommendations that tend to be pretty good. It’s a nice service, but it doesn’t have the masses of users that flock to other social networking sites. If the music industry would cooperate, Last.fm (a CBS property) could take advantage of a great opportunity staring them in the face: Music sharing. Twitter and Twitter are full of people sharing links and little snippets of information. Why not make it easy for people to share music?